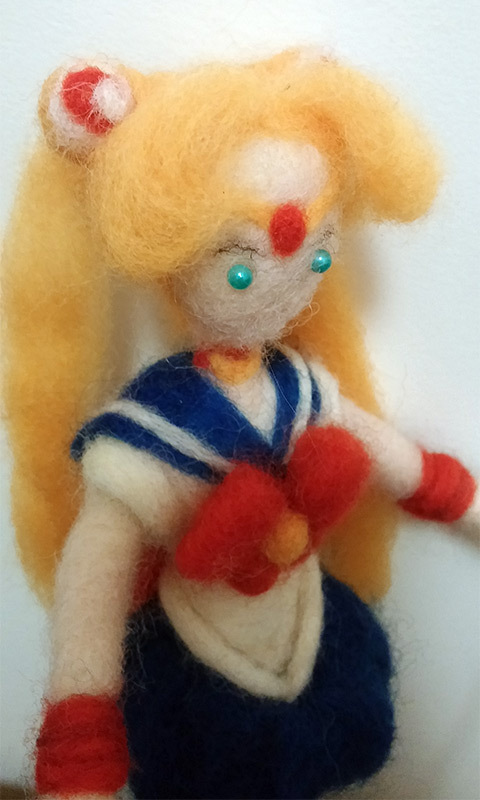 Jordan Hill - Animation, Illustration, and Fiber Art: Moon Animate, Make-Up! Back in April I finished up my contribution for the "Moon Animate, Make-Up!" 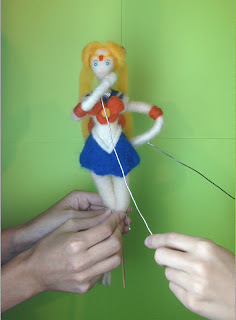 fan project, the goal of which is to re-animate an entire episode of Sailor Moon by assigning one shot to each volunteer animator. 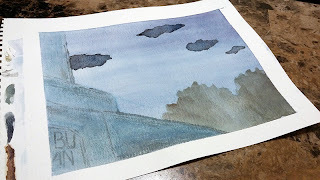 The shot that I was assigned was a relatively static 10-second-long shot. 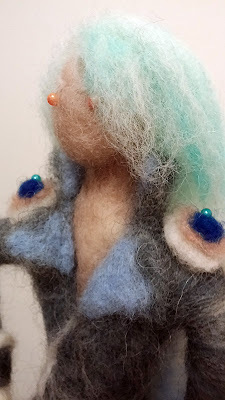 I tried to think through what the most entertaining thing to do with it would be, and I decided that I could try out making puppets (not something I really have experience with!). 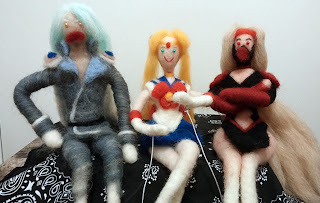 The puppets were needle-felted onto wire armatures; nothing fancy- I only gave Sailor Moon anything extra to manipulate the puppet (the wires coming out of her arms). 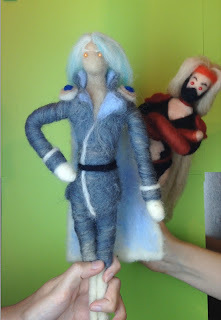 I tried to figure out a way to get the faces puppeteered as well, but it just wasn't working very well. 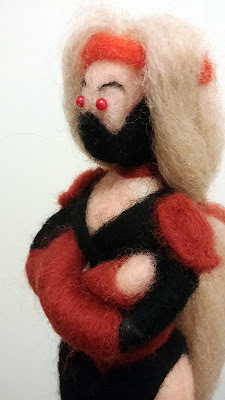 I ended up just felting a few different mouth shapes (seen stuck on their faces in the group shot) and they got composited in after the fact. 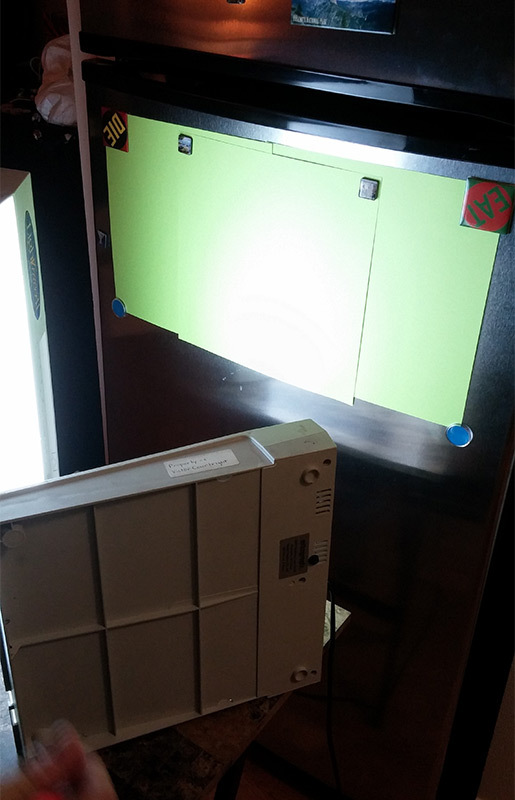 The first picture above shows the "stage" - just a couple of lightboxes set up in front of the makeshift green screen made simply by sticking some green paper onto my fridge. Victor Courtright took care of filming while Salina Trevino helped me with the puppeteering as we listened to the audio over and over to sync up the performance. 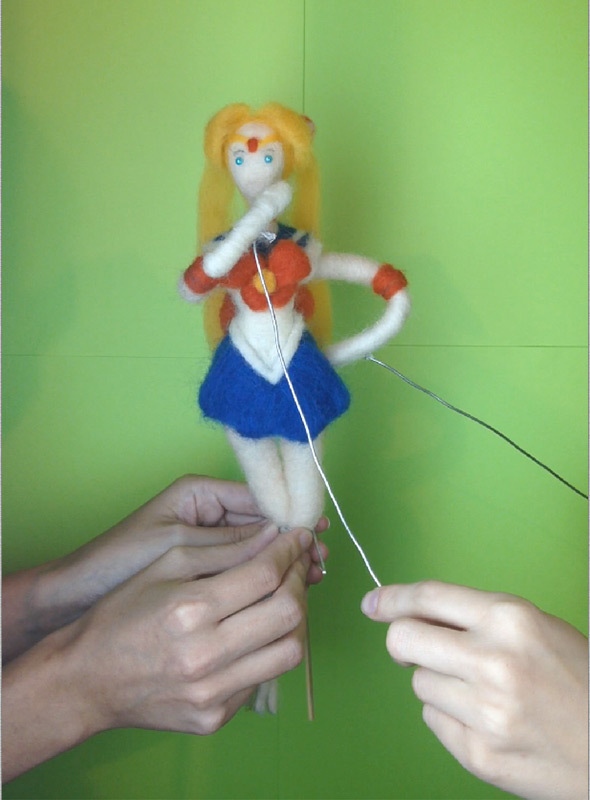 We filmed Sailor Moon separately as she was in the foreground and needed two people to handle her (Salina took care of the overall body movement while I took care of the arms/details of the gestures). Malachite (Salina) and Ninjana (me) were filmed together since they interacted a bit and didn't require anything other than bopping around in front of the camera. 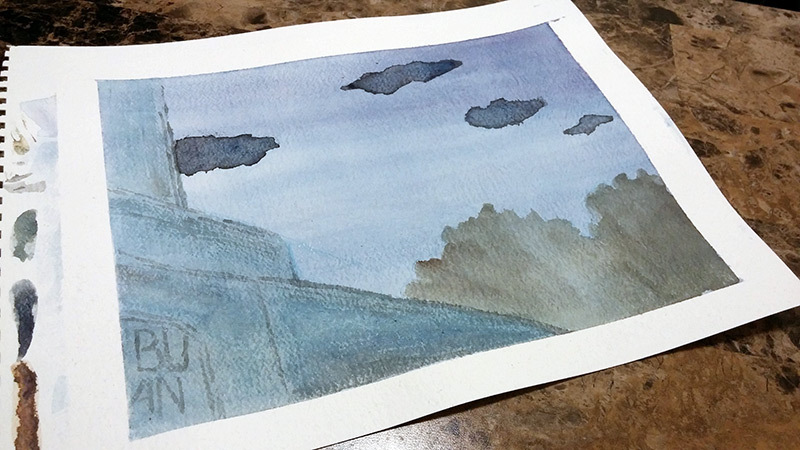 For the background I just did a quick watercolor copy of the original background from the show; I didn't feel like it needed anything different and I liked the look of it with the puppets. With immense help from Victor, all of these elements were composited in After Effects to get the final shot together. And that's it! It was lots of work getting the puppets felted and it felt like I was kind of making it up as I went along...but it was tons of fun to pull this off!